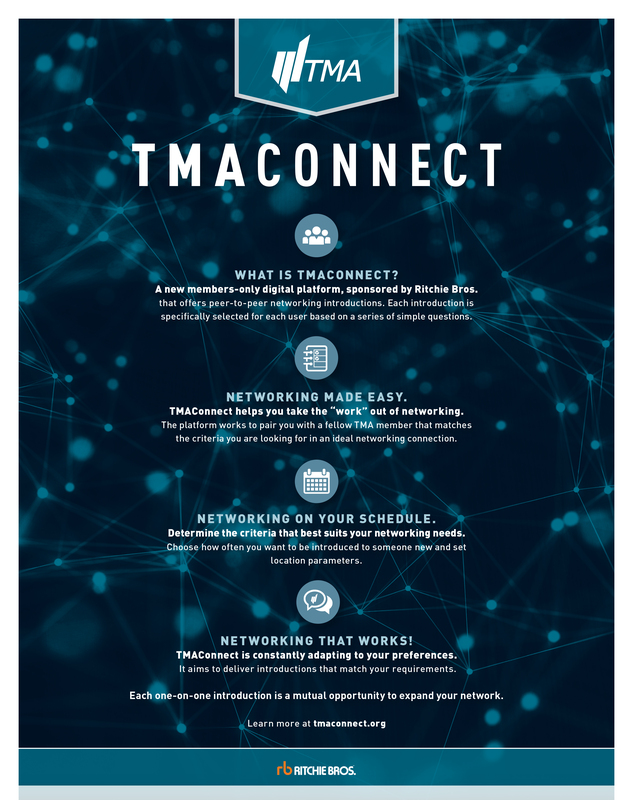 TMAConnect, sponsored by Ritchie Brothers, is a members-only digital platform offering peer-to-peer networking introductions. Each one-on-one introduction is specifically selected for each user based on a series of simple questions. Proprietary algorithms will work to pair you with a fellow TMA member that matches the criteria you are looking for in an ideal networking connection. You will then receive an email introducing you to this person allowing you to contact him or her on your own time. Now you don't have to wait until the next TMA event to keep building your business network. You should have received an email from Zenvoy inviting you to join TMAConnect. If you haven't, please contact Matt Switzer at mswitzer@turnaround.org.